Mapping the Territory: identifying critical issues relating to teaching and learning in playbuilding, and laying the basic foundations of understandings and practice. Levels at Work: offering three approaches to playbuilding, catering for a range of learning experiences. Playbuilding for All: explores theatre practitioners’ techniques, working with students’ personal stories and narratives and playbuilding with a contemporary edge. 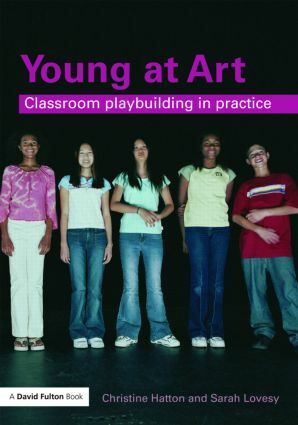 An essential guide for all drama teachers Young at Art covers practical teaching issues and strategies for working with groups of students to help them perform their playbuilt stories to an audience, as well as techniques for student assessment and evaluation, providing a wealth of exemplary starting points and approaches. The book offers detailed guidance on working with students to help facilitate the collaborative creative and reflective processes, offering practical ideas and structures which can be easily implemented in the classroom.